Are you treating employees well? When it comes to running a business, there are very clear distinctions between the possible ways that you could treat your employees. While some companies are happy to treat their employees as disposable, plenty more treat them as their most valuable asset. And some companies swing backwards and forwards between the two! As well as the satisfaction of being an ethical employer, there are plenty of other direct advantages involved in employees well. In this blog post, we are going to run through a few of these bonuses to encourage you to improve your working environment for everyone who works at your company. Let’s see how and why great companies are treating employees well. As an employer, you will already be well aware of the costly and time-consuming nature of going through constant recruitment drives. Not only do you have to find the member of staff who possesses the right skills, but you also have to train them up to work for your company. And if you are doing this on an ongoing basis, this is only going to detract attention away from your other major responsibilities. If you can inspire loyalty in your employees, you can help to create a harmonious and consistent environment on which great things can be built now and into the future. When employees are happy and satisfied with their work, they are also more likely to be more productive as well. And when an employee knows that their company cares about them, they are much more likely to care about the company as well. On the other hand, staff members who feel like they are disposable are much less likely to give their work due care and attention. Ultimately, your employees are only going to be the greatest asset of your company if they are hard-working and productive. Treating them well is one of the best ways of ensuring that this is the case. If you don’t treat your employees well, there is an increased chance that lawsuits could end up being filed against the company. When you cut corners with regards to employee safety, benefits etc, you could end up getting accused of wage theft and other negative things. And while the lawsuits themselves could end up being damaging to your business, what could end up being worse is the damage to your reputation. With all sorts of company review websites out there these days and social media, it is very easy for reputation to be made and damaged with a few clicks. It is tough to build strong relationships with clients when staff members are constantly changing. However, when a close partnership has been formed over the course of months or years, this can end up having a significant positive impact on your company. Clients will also get the impression that you are running a responsible business that is good for employees as well as them. 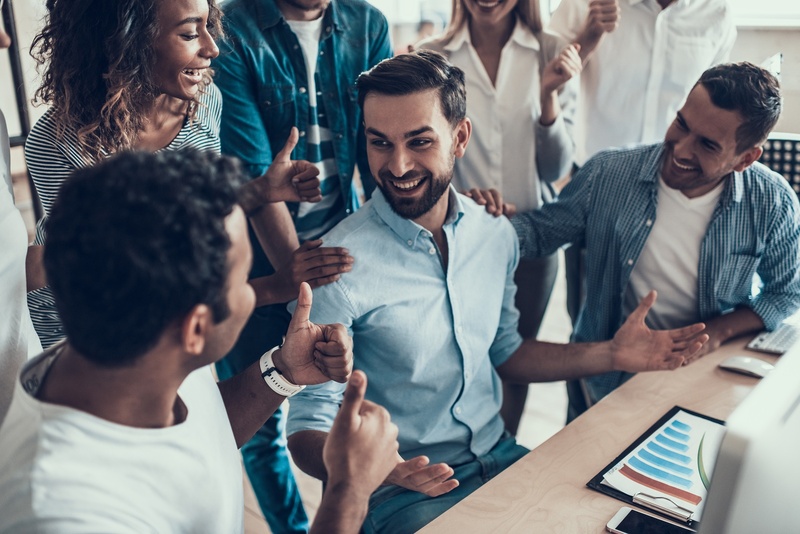 On top of this, satisfied employees are much more likely to go above and beyond the call of duty to give their clients exactly what they are looking for. First of all, employees who are less stressed are more likely to perform their best work. Of course, there is nothing wrong with a bit of stress, but when this crosses over the line to excessive levels, it can end up leading to employee absenteeism. Huge numbers of working days are lost every single year because of this one factor alone, and if you think that this is happening to your company, it may be time to take a closer look at your employees’ working conditions, their overall workloads and stress levels. These are just five of the benefits which can come from treating employees well, but there are certainly many more out there as well. Whether you are just in the process of hiring your first employees or you think that the time has come to make some major changes, hopefully, this article has proven to be useful to you.